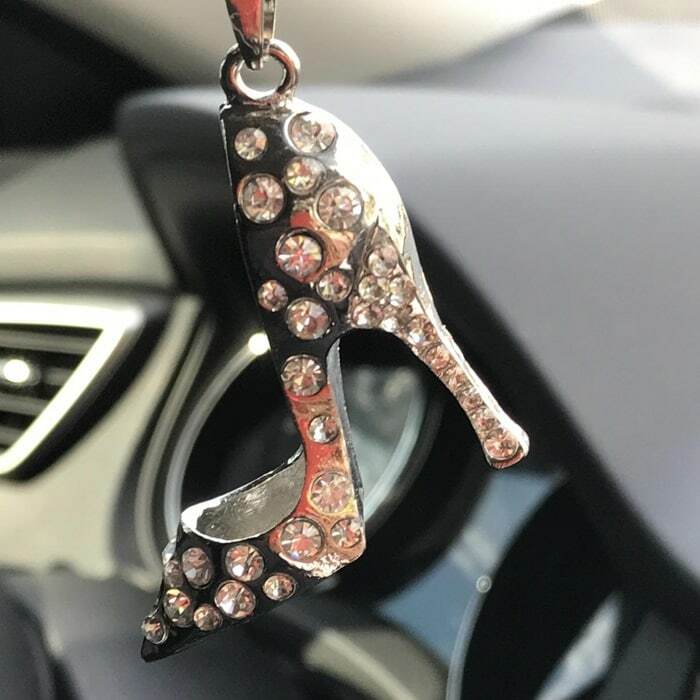 Customize your car and show off your personality with these unique shoe car charms that you can purchase at Amazon. 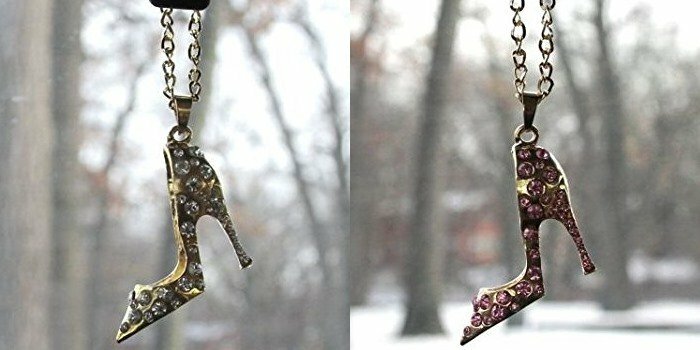 Available in several amazing colors, each of these high heeled ornaments is adorned with 34 jewels varying in size and crafted to sparkle in the sunlight. 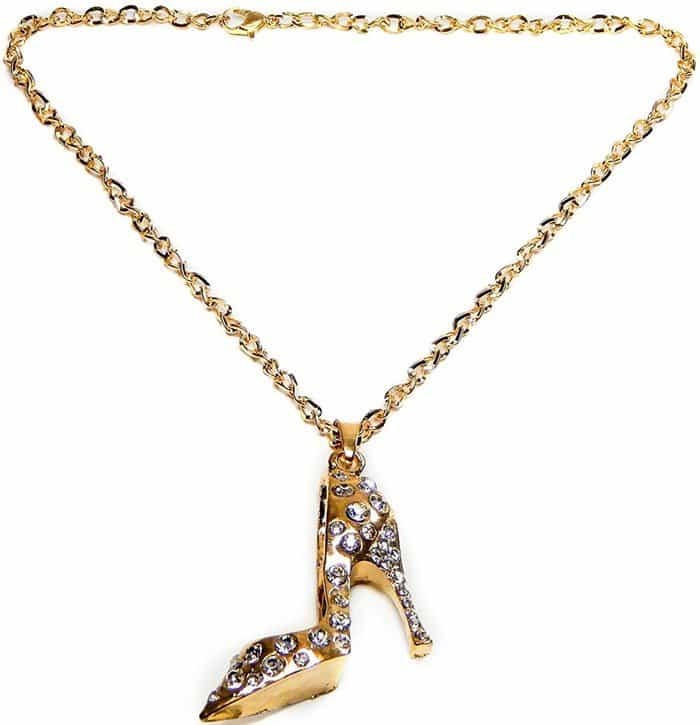 These gorgeous gold and silver accessories also feature matching adjustable chains to allow precise positioning of the charms. 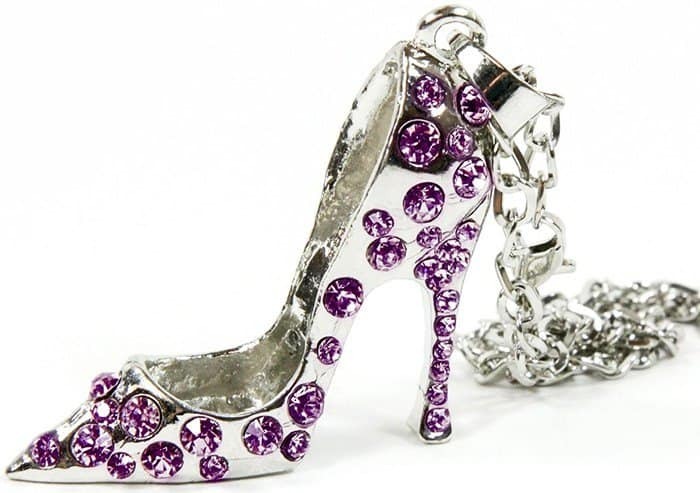 The rhinestones come in various hues such as pink, clear, purple, and red. 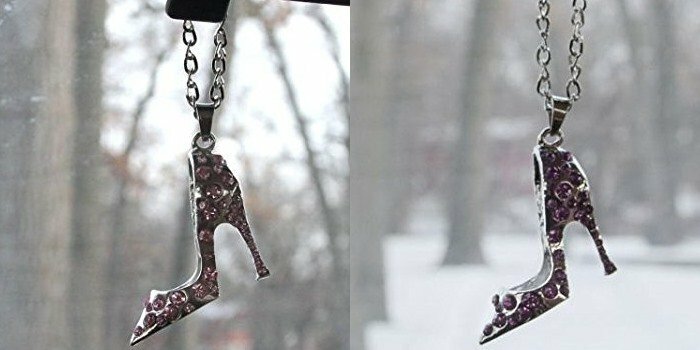 Hang these high-heeled shoe charms for a stylish addition to your interior or gift them to a fellow shoe lover! 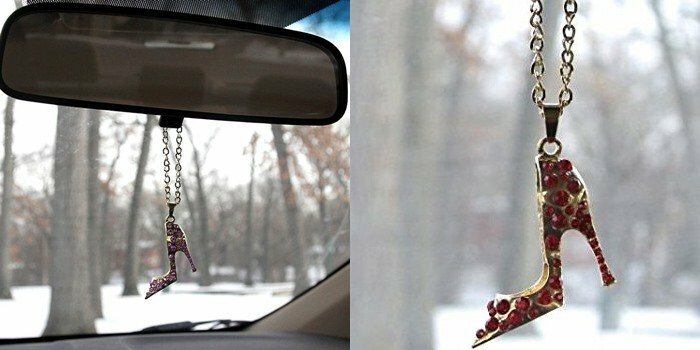 The ornaments are made light and durable to not cause any stress to your rearview mirror. 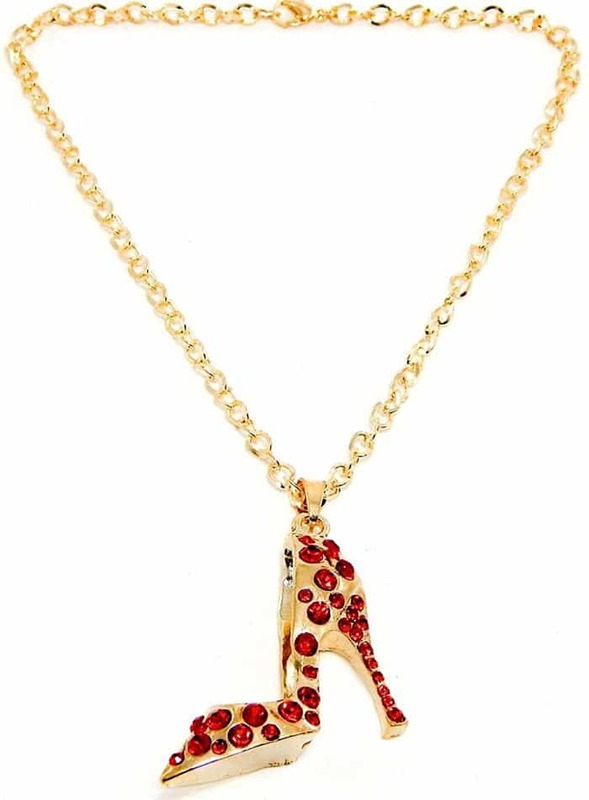 The adjustable chain hangs approximately 7.5” allowing you to precisely position the charm. My oh my, what a beautiful piece. 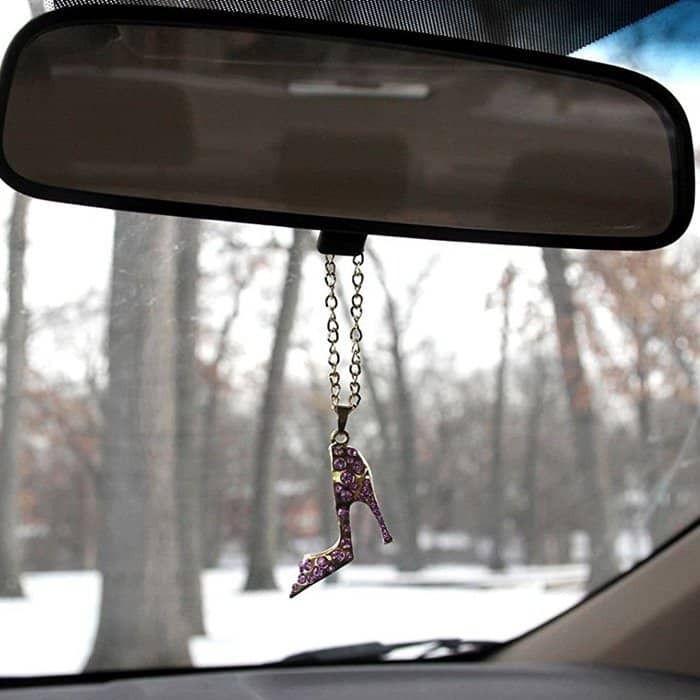 May be listed as a car charm but this little item will be hanging in my window at home. Absolutely gorgeous! Such a simple pleasure to see this hanging from my curtain rod. What a nice accent. 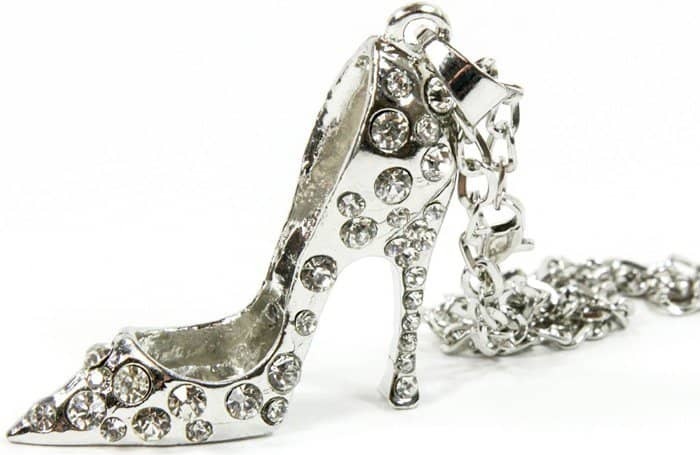 Well made, metal and gem… catches the light perfectly. Sparkles in the sunlight. So pretty. 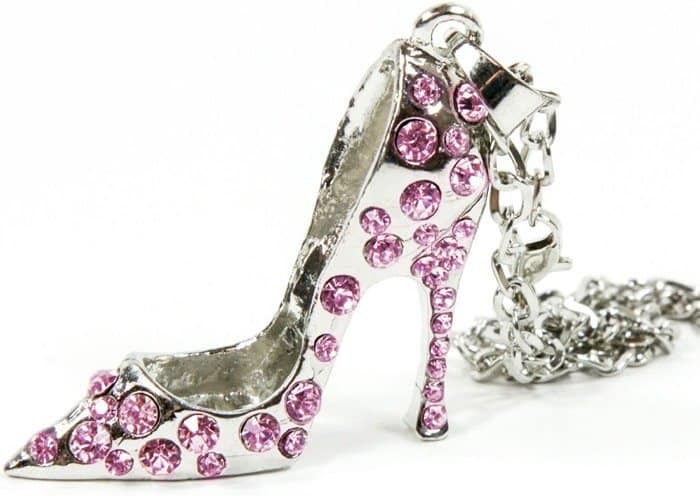 The pink stones are a little lighter than the photo but are still very pretty. 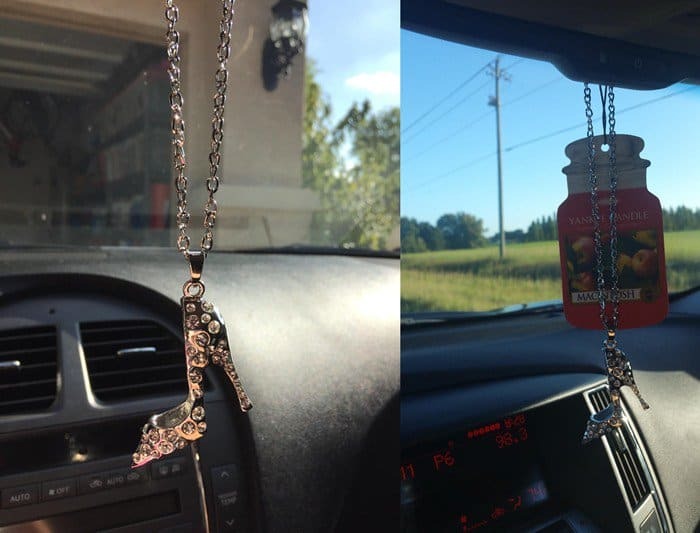 The chain has a clasp like a necklace does so it makes it easy to put on the mirror and to change length. I am very pleased with this purchase.